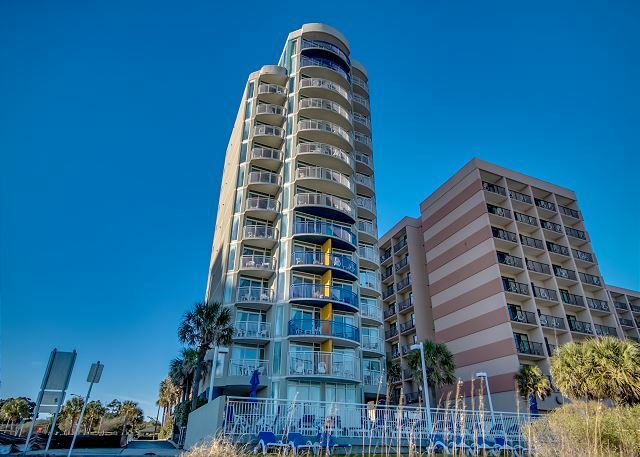 Crashing waves, amazing sunrises, and beautiful pelican and dolphin sightings will all be yours from the large rounded oceanfront balcony of Atlantica 1002. 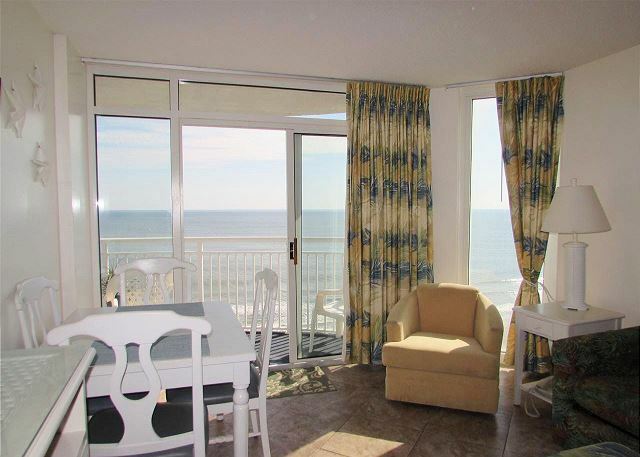 This tropical getaway is the perfect escape from all of the stresses of work and home as it boasts access to its oceanfront balcony from both the living room and the master bedroom! 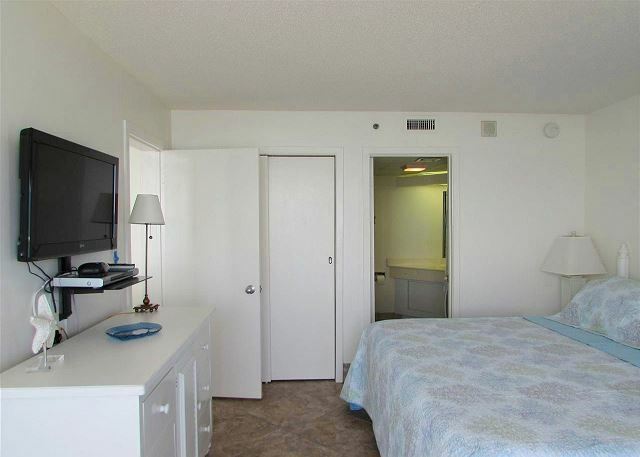 The condo has all of the comforts of home with a fully equipped kitchen, washer and dryer, and a king size bed in both bedrooms. For extra sleeping arrangements, the living room has a sleeper sofa which is perfect for the children. 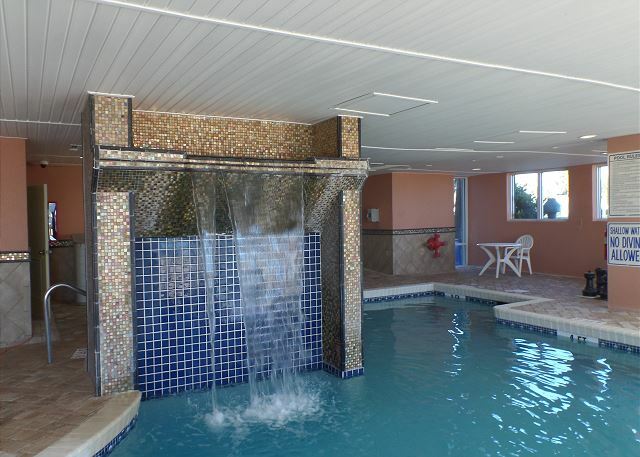 Take a leisurely swim in the outdoor swimming pool which can be seen from the balcony or walk over to Atlantica II and float around the sparkling lazy river, relax in one of 2 hot tubs, or take a dip in the indoor swimming pool with waterfall! Atlantica II also has a kiddie’s pool for the children to enjoy. 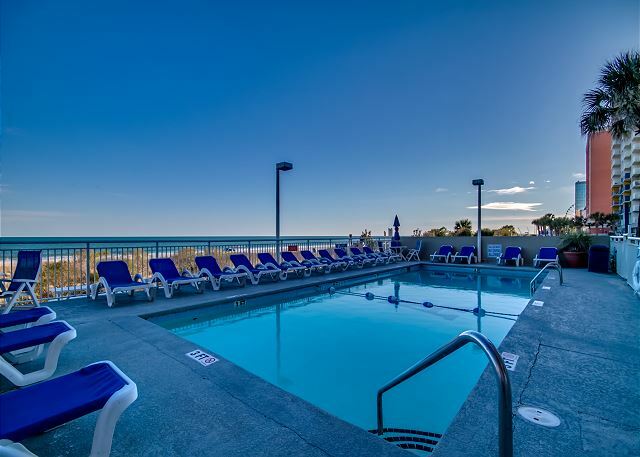 Atlantica 1002 is centrally located to an abundance of shopping excursions, tantalizing restaurants, and family fun attractions, many within walking distance. 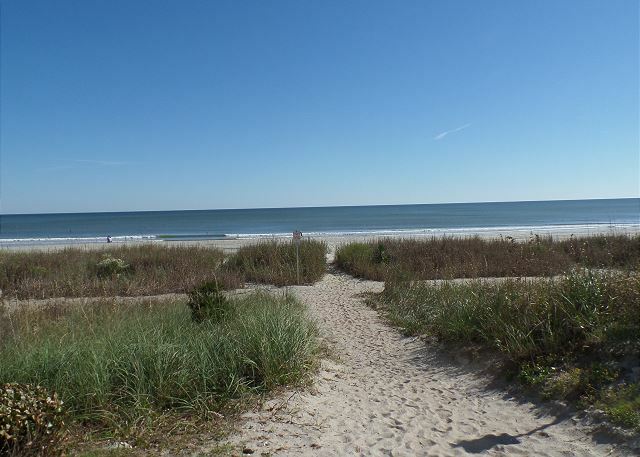 A sushi bar, pizza parlor, and oceanfront cafe are a few of the choices available to walk to. Just a short drive away is Broadway at the Beach, a popular shopping venue. Play a game of miniature golf at a dragon’s lair, touch a stingray at the aquarium or for a rainy day activity, have a margarita at Jimmy Buffet's Margaritaville, or see a movie at the cinema! 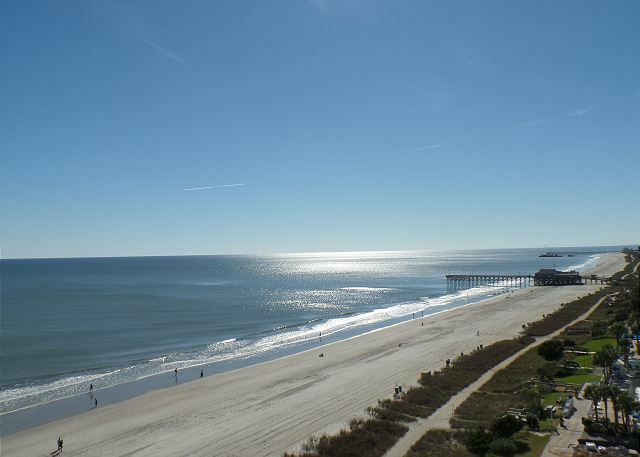 The Myrtle Beach Boardwalk and Promenade features a mile long oceanfront boardwalk and provides guests a carnival-like atmosphere with oceanfront dining and shopping, all just a short walk from Atlantica 1002! 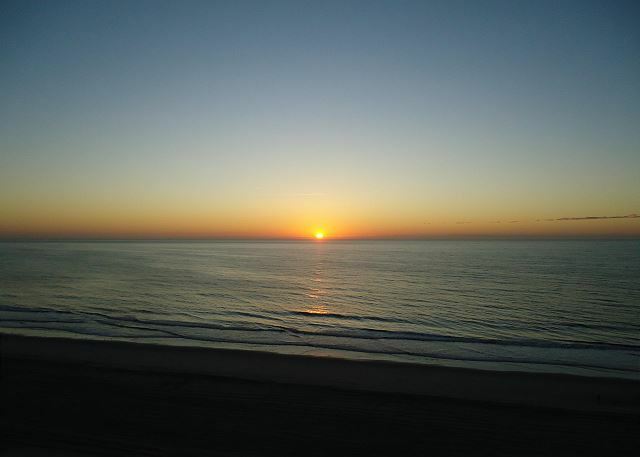 Guests will love the oceanfront Skywheel, which offers riders a fantastic view of the Grand Strand and ocean! 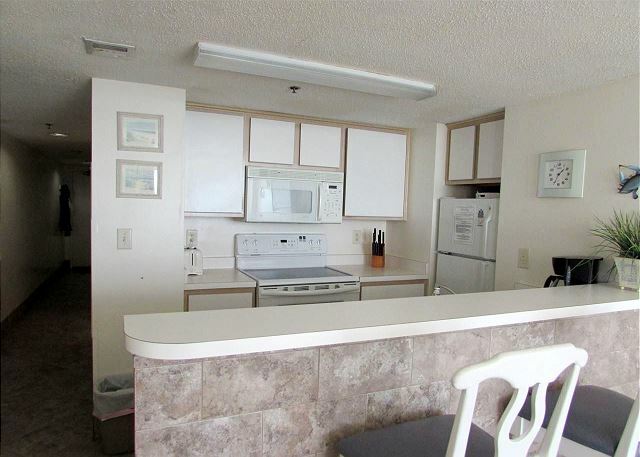 Unit is in a great location only blocks away from the Sky wheel, shoping and other activities. Family enjoyed the stay, but had a few small issues. First and foremost was the matress on the sofa had some sort of mystery stain and very worn, arm chair looked dirty and old, some milder on sheer curtain and a broken remote for TV in master. Same day I called, an air matress, new shower liner and remote were delivered to the unit. Great service from Southern Coast. A few updates to a couple pieces of furniture and this place would be great. It was our third time in the area and we had another good vacation. 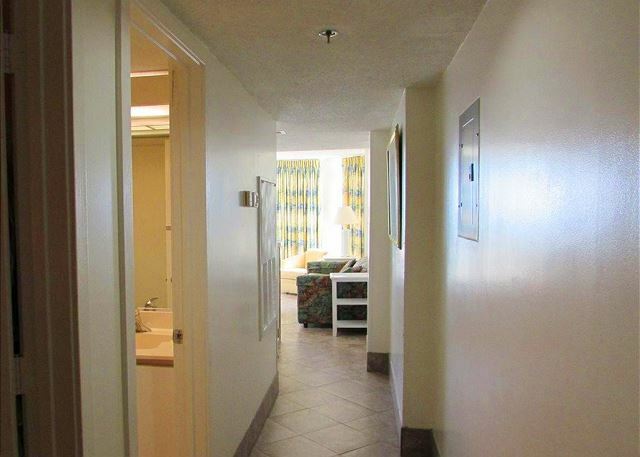 The location is great and close to the restaurants and amusement parks. 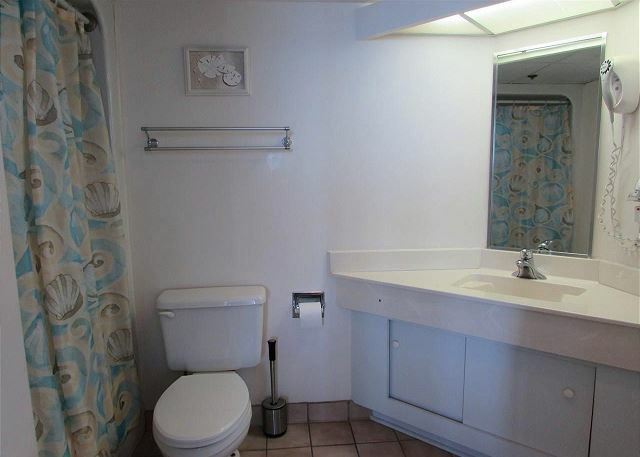 The unit view was fabulous, however it wasnt clean enough and the WiFi never worked. We had to call the support to find out what the problem was but it was no help. It was always on and off. We wouldnt bother, but we had to work a few days and the connection was very important. Also, the resort has two towers that are separated by a land on sale, so you have to walk if you want to get access to the pools that are not in your tower. We stayed in tower I that only had one large pool and we needed to go to towers II-III for the spa, lazy river, and indoor pools. Very nice.....would definitely rent again. Booking was simple. All questioned were answered in a timely manner by Southern Coast. Easy arrival just pick the keys up (no time consuming check ins at a desk). Unit looked like pictures online and was clean. Nothing fancy, but fancy wasn't advertised or expected. Building was easy to get in and out of....parking was a block back, but never had a problem finding a space. Bldg only had one elevator, but never had to wait more than a couple of minutes. View from balcony CAN'T get any better....just gorgeous! I'm sure nit-pickers would find a couple of faults, but don't they always. We were all very satisfied and will rent from again. We had five in are party and had plenty of space. Great view from the balcony. 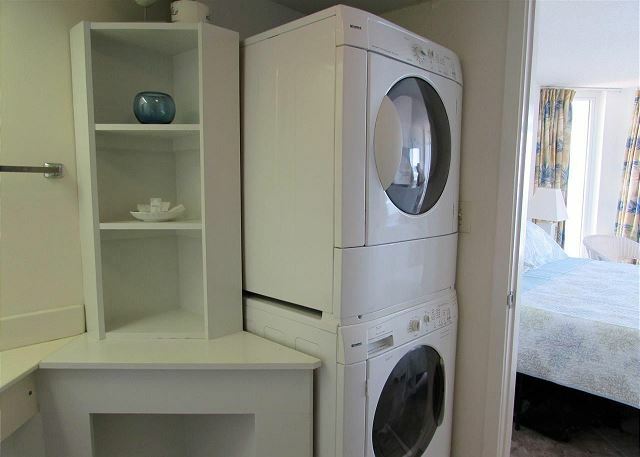 Was nice having a washer and dryer as well as a dish washer in the unit. Only issues were the arm chair in living room could use a cleaning so we covered it with a blanket. Also the mop head was off so we could not clean the floor as we would have liked. Overall experience was good and would stay there again. 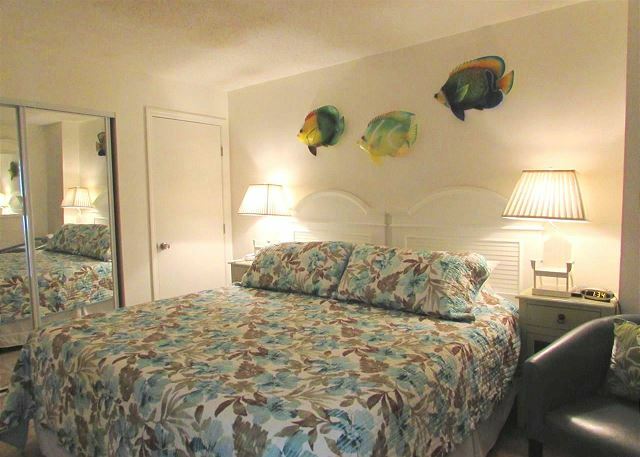 Walking distance to restaurants, shops, pier, and sky wheel. We had 6 people in our group! Location was great, condo was perfect! Very clean, beds were comfy, krtchen well stocked with pots, pans, utensils, and all other kitchen necessities. The only issue we had was the wi-fi. Two of us were in online classes and it would not work. We did call support three times but they were not successful. However, it worked great everywhere else in and out of the building. We loved the Condo. Very clean & lots of restaurants close by. The only complaint is the pool closure & the constant jack hammering of the balconies all day. Babette was absolutely wonderful & very understanding when I called to express our concerns. We were very generously compensated. Unfortunately the balcony was closed during the guests stay. The complex was going through a weather stripping process to repair damages from Hurricane Matthew. These renovations are complete. 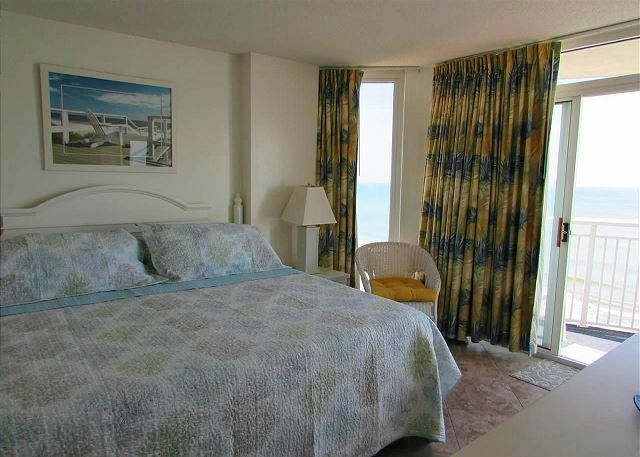 We had an ocean front condo that was very c;lean with very comfortable beds. The kitchen was small but very well equipped. The entrance way had a cold feeling, but our unit was cozy if small. It was perfect for two people but would not recommend it for any more than four. Thank you Mr and Mrs Berry. We hope to see you again! 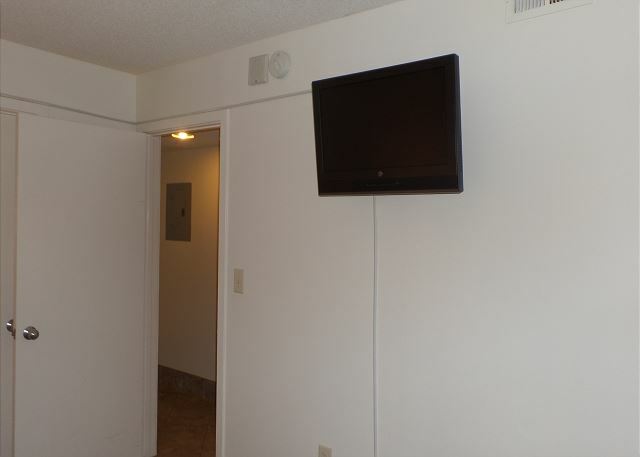 The vacation unit was well equipped and met expectations as described on the website. 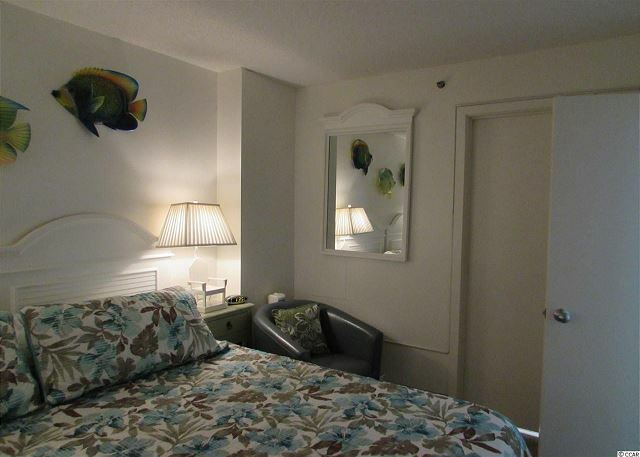 The location was ideal and within walking distance of attractions and restaurants. Having the washer and dryer was a really nice convenience to have. 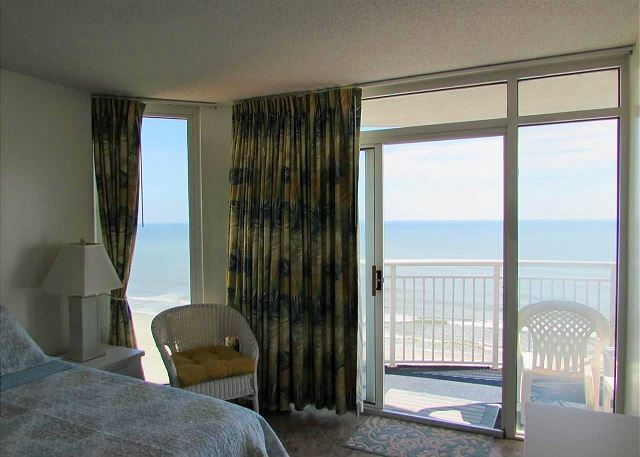 We would recommend this unit and look forward to returning to Myrtle Beach for our next vacation. 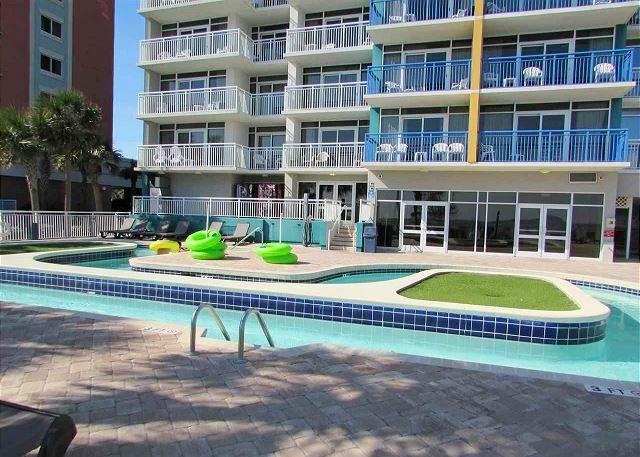 My family and I comes to myrtle beach every year and this is by far the best place I've ever rented. The staff are very nice specially the people who clean the rooms. We loved it because its ocean front and only 3 blocks from the boardwalk everything is convenient. We will definitely rent this place again... I definitely recommend this place to everyone! Condo was exactly as described! Great pool, clean. View was awesome! Great contact with property manager! Everything was great!! Couch was clean but worn and uncomfortable,...other than that, no negative issues. Thank you for choosing Southern Coast Vacations and Atlantica 1002! We hope to see you again on your next trip! 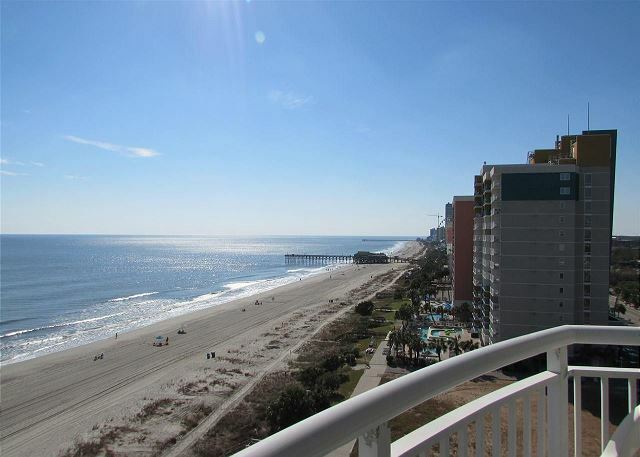 This was a great experience with a great condo in the heart of downtown Myrtle Beach. 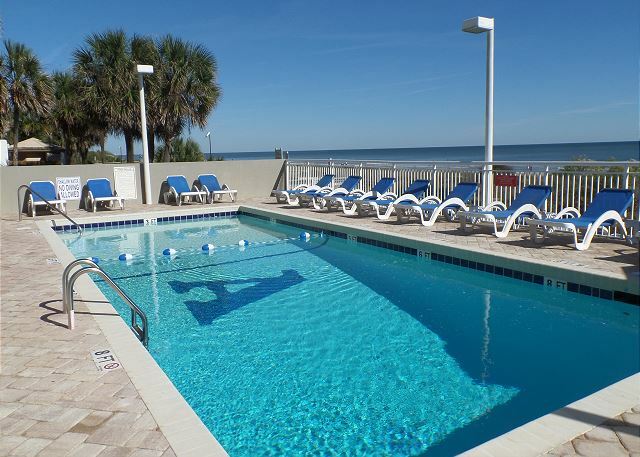 I am a frequent VRBO & Homeaway renter - and this was one of the top units that I have had the pleasure of staying in. Babette at Southern Coast was easy to work with and the unit itself was in perfect condition. Having a beautiful washer & dryer available was incredibly convenient. I Will definitely look to be a repeat renter! We are so happy that you had a wonderful stay! Thank you for choosing Southern Coast Vacations and Atlantica 1002! Looking forward to your next visit! My family had a great time! The property was very clean and organized. It's in an excellent location. 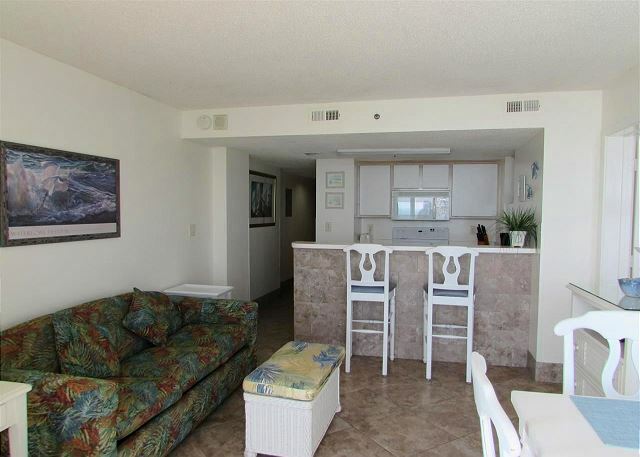 Close to the boardwalk, arcade and restaurants. I would definitely use this unit again! We are so happy that you had a great stay! Thank you for choosing Southern Coast Vacations and Atlantica 1002! Hope to see you again next trip! 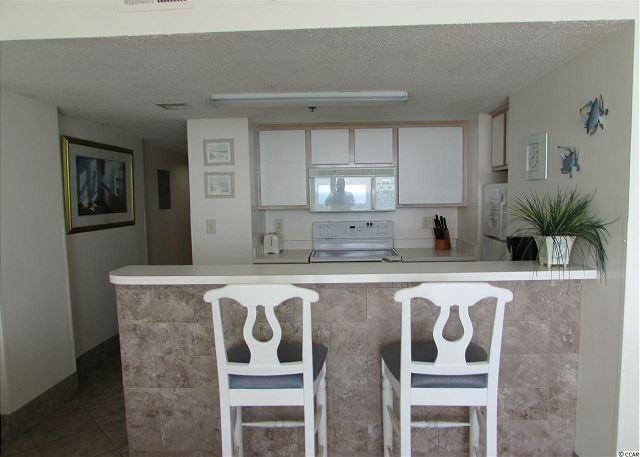 Loved the Location, loved the condo, loved the ease of using the rental agent. 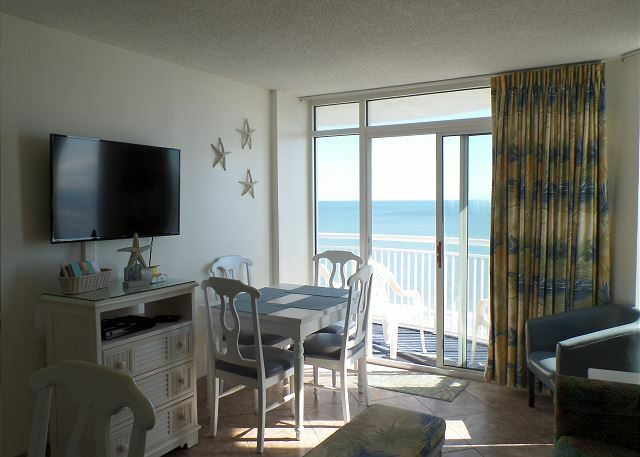 Thank you for choosing Southern Coast Vacations and Atlantica 1002 as your winter rental! We are glad that you enjoyed your stay! Picking up key was easy, but some confusion on physical address. 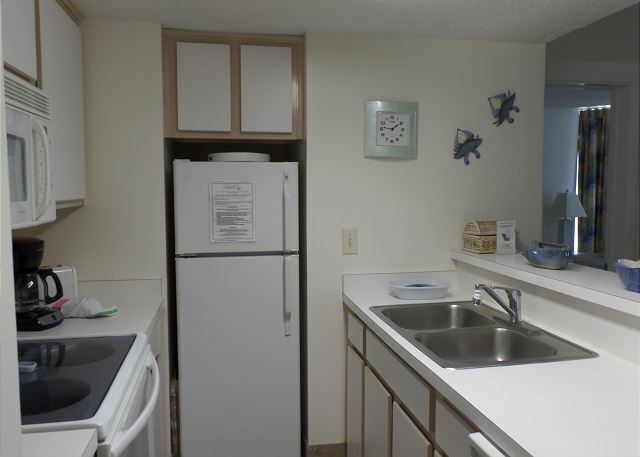 Building was quiet, somewhat dated, but unit was mostly clean and was very comfortable. Location and beach views were fantastic. Would have been much better if a mandatory evacuation for Hurricane Florence hadn't occurred! We spent 6 nights at this location. Our overall experience was very good. The property description was accurate as to what was there for us. There were three minor issues for us: one was that there was an unpleasant smell when you first entered the condo. It did not carry into the main part of the condo and was not really a concern for us. The second related to the property itself. Three times during the week we had to wait 15-20 minutes to get the elevator. The property has only one elevator and the cleaning staff will lock it up on a floor or multiple floors as they work. Since there is only one elevator for the building it is a bit frustrating. Although I can see the staff not wanting to wait forever to complete their jobs it was a major annoyance having to wait that long. The final one was that the door of the refrigerator is very low to the ground. We found out the hard way by scraping the tops off our toes when we closed it one time. 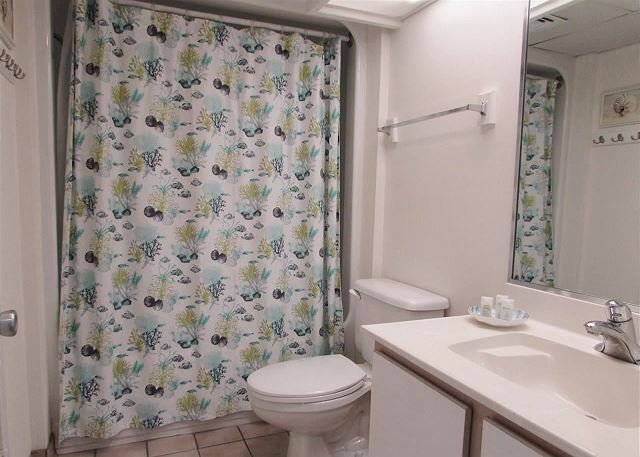 Again, we consider these minor issues and the condo itself was very nice. 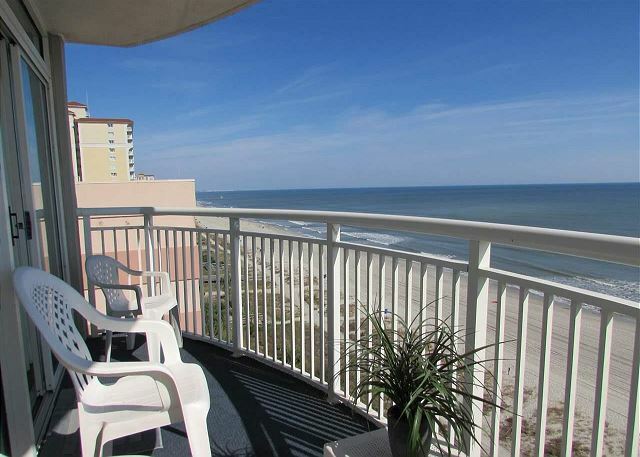 The view is spectacular and it is close enough to walk to most anything you might want. Overall, we had a good week there and the good far outweighs the few minor issues we had. Beds we're unmade we had to make them when we got there. Sweeper was a piece of junk! But all in all still a nice place. We have our linens vacuum sealed in plastic and put at the bottom of the bed. We find that the majority of our guest prefer to open the sheets themselves so that they are assured of clean sheets. Will take a look at the vacuum. 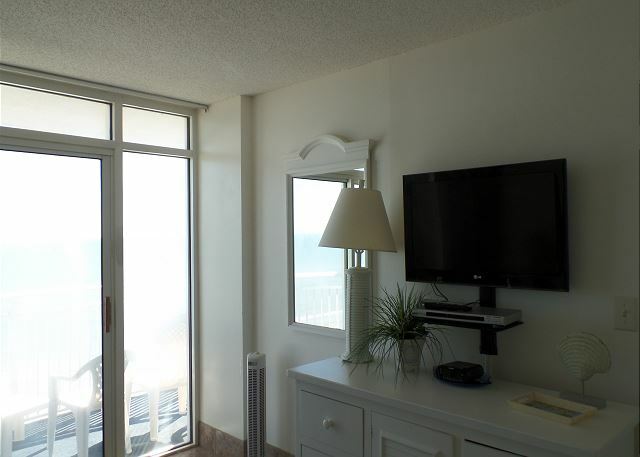 The room had great views of the ocean and was within walking distance of the boardwalk. Only problem was the cleanliness of the place. There were cookies tucked behind the bed, white crusty marks on the comforter, hair and crumbs on the mattress, and other cleanliness issues. I contacted the owner in regards to the concerns. My husband and I slept with no sheets the first night as they were not clean. The owner told me that new bedding was purchased in May. She showed me a picture of the bedding which was not what was on the bed. She contacted the rental agency who brought us out new bedding the next day, in addition to the owner's recently purchased bedding. The occupants before us paid money to have the place cleaned for us and we were not impressed. Highly recommend a new cleaning crew. This tower did not have a front desk, and the key card did not work all week. Apparently everyone in the building had issues and instead of fixing it, someone taped the door so it could not lock. This leaves the occupants of the building unsafe, as anyone could come in. Thank you for bringing this to our attention. We apologize for the inconveniences you faced during your stay, as that is not up to our normal standards. We will share your feedback with our staff and make the necessary changes. We do put linens on the beds, but they are wrapped in plastic directly from the linen company/ Atlantica I did have an issue with the key card for the front entrance, they have now switched to a punch code. Guests receive the code upon arrival to access the front entrance of the building. We hope you choose to stay with us again, so we can show you our true level of service.